Happiness Mantra workshop. . .
Don't miss this unique workshop by Ritu Tandon, designed to improve your happiness quotient! Happiness is not only the deepest desire of the heart but also your right to live a fulfilled life. In pursuit of our daily life and chasing unending ambitious goals, we forget to enjoy the small joys life offers at every moment. As a result, we spend life relentlessly chasing happiness rather than discovering it inside our heart. A happy life is a life lived well. It helps you deal with challenges and problems with ease and calm rather than with stress and anxiety. A happy person enjoys better health parameters and has more energy to do the daily chores. Happiness overcomes frustration and keeps you mentally peaceful to live a more content life. A happy person manages all relationships much better. So letʼs rewire our brains to live each day in the happiest way. Happiness is not a virtue but a habit, which we need to develop. So, letʼs inculcate this habit and gift ourselves a happy life ahead. Ritu Tandon is a professional MBA, who is working in the corporate world for more than 2 decades but she is a seeker at heart. Along with pursuing her career, she has been following her passion for enriching and empowering herself every single day. She has experienced the nuances of corporate life and has mastered the art of maintaining work-life balance. In spite of being tossed between a challenging job, motherhood and other social commitments she has always managed to sneak out time for soulful experiences and learnings. Reading inspiring books, attending myriad spiritual retreats and learning different modalities have discovered profound peace within. 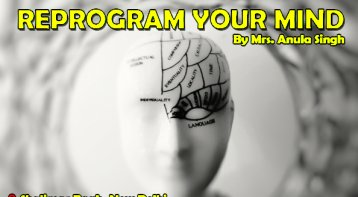 After getting few certifications in modalities like Life coaching, NLP ( Neuro-Linguistic Programming) Practioner, Self Hypnosis, Breakthrough coaching, midbrain activation, the basic understanding of DNA modelling and variety of healing methodologies feel empowered to share her learnings with others. To empower people to live their best possible life has become the purpose of her life. She has been mentoring not only family, friends and peers but also collaborated with an organisation to give one to one sessions to employees. This is an addition to motivational talks which she has been delivering not only incorporates but also charitable places. You will discover your own inner beauty and state of joy, which is already existing inside you, but you are unaware. 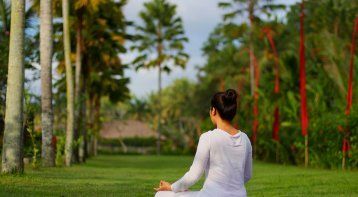 Introduction on Self Love: Workshop to k. . .